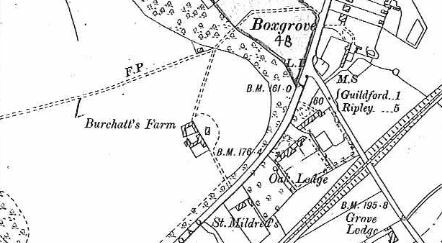 Burchatt’s Farm at the far end of Stoke Park has been in the new recently after the Council decided to lease it to a private business. In March 2017 Chartered surveyors Owen Shipp were hired to obtain expressions of interest for leasing the building, for non-residential use, which were evaluated by the council. Here I provide some background. The enormous piece of land known as Stoke Park was purchased by a visionary but even more cash strapped Guildford Borough Council back in the 1920s. The aim was to keep some open space in the town centre at a time when suburbs were spreading out in all directions. Burchatts Farm was on the land and came with it. In 1990 the Council restored the barn and fitted out the farmhouse for function. It was opened by the Mayor and has been an enjoyable venue for weddings, parties, corporate events etc. Chartered surveyors Owen Shipp were hired to obtain expressions of interest for leasing the building for non-residential use. An asking price of £36,000 p.a. was published on their website. 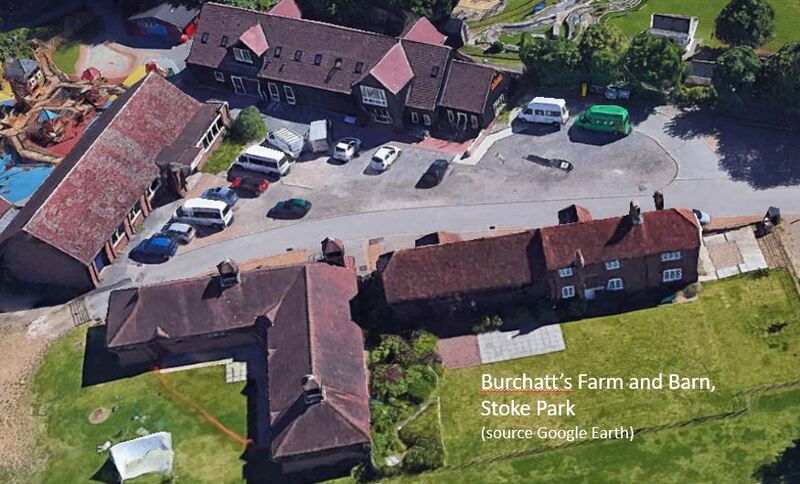 In October 2018 the Guildford Shakespeare (GSC) put forward an impressive proposal for the use of Burchatts Farm that seemed to fulfil Councillor Billington’s statement to the letter. They even offered the asking price. GSC is a professional theatre company with a big community heart that puts serving Guildford at the top of its list of aims. Since its foundation in 2006 it has staged 39 productions seen by over 100,000 people – that’s an average of 2500 people per production. Their 2015 production of King Lear featuring Brian Blessed was national news and like all their productions benefited local businesses and car parks by bringing in people from outside the town. In fact, 77% of their audiences come into the town specifically for the plays thus raising the profile of the town. The plays have been staged at various venues and helped raised their profile. Sites have included Guildford Castle Keep Guildford Museum, Holy Trinity Church, St Mary’s Church and Racks Close. Whilst Shakespeare is their bread and butter they have reached out to new audiences with Alice in Wonderland and Robin Hood. The company also has an active education programme reaching over 8000 students annually, providing nine regular clubs, running free workshops and working with schools. Their proposal was to use Burchatts Farm as a performance and rehearsal space, develop educational programmes and run an office and prop store. On top of this they proposed making the venue available for civic and other events thus keeping it accessible to the public. In the garden they wanted to erect a semi-permanent spiegeltent for education and performances. This been a regular feature of the Guildford theatre scene as each year the GSC erects a tent a couple of hundred yards away from the barn. In January 2019, however, the Council took everyone by surprise by deciding to let the building to local business. Planning permission had to be obtained though at it was turned down on 27th March because “proposal would result in the loss of community use contrary to para 92 of the NPPF 2019”. “The letter from the owners of the Guildford Chiropractic Centre perfectly demonstrates that there are two sides (and sometimes more) to be weighed in the decision making process. We undertake at GBC to do all we can to assist Philip and Annie in finding a suitable location for their business. Some of the “campaigning” by activists in relation to Burchatt’s has significantly overstepped the mark. So we are back where we started.